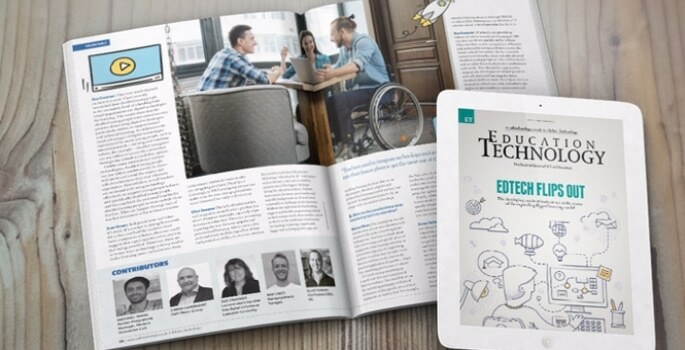 News > Events > The August/September issue of Education Technology is here! It’s all about evolutions in this issue of ET. Our cover story from Keri Beckingham looks at the flipped learning model, and how it’s influencing universities around the world. Our roundtable addresses the issue of inequality in eduction, and how tech in the classroom can help. We have insights from experts in both edtech and education institutions, including Lancaster University and Nesta’s Innovation Lab. We also have a more in-depth feature on the news from Stranmillis University in Belfast about the impact of iPads on Early Years education, and what the benefits and challenges of a large tech investment are. The age of 24/7 learning is upon us, and our feature on the Bring Your Own Device phenomenon lets schools know what preparation is required before implementation of such a scheme. We also look at all the latest news from the primary, secondary, and HE sectors, including an update on school pupils who built a computer game in which the Queen is sent to space, a report on the West End play that highlights the troubles of cyberbullying, and supercomputer advances at Bristol University. All this, and lots more inside the mag!